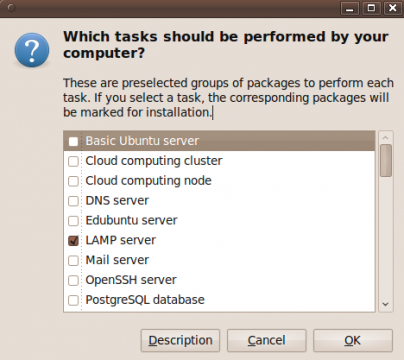 There is an very easy way installing Lamp server in ubuntu 9.10,9.04,and 8.10.And this lamp server will be automatically upgraded to latest version after upgrade the ubuntu system. 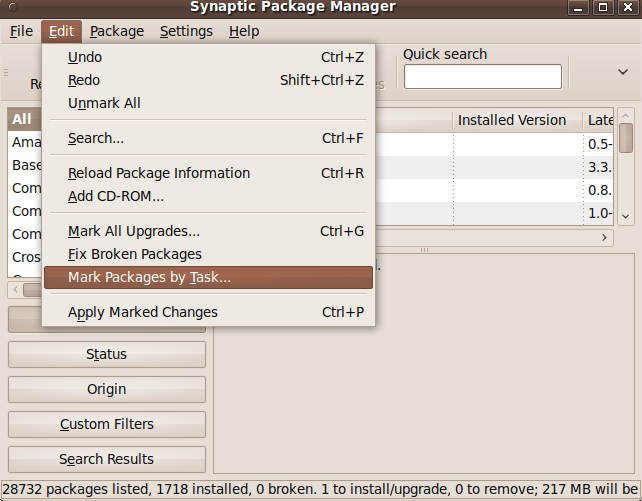 First,open synaptic from System->Administration->Synaptic Package Manager,and navigate to Edit->Mark Packages by Task. Check “LAMP server” in this window and click on OK.
Just so easy,test by typing 127.0.0.1 in browser address bar and you will see “it works!”.Now,you can put your php programs into /var/www/.The only thing need to do is that you should change permissions of /www directory. 4 users responded in " The easiest way Installing Lamp server in Ubuntu "
I want to download all the packages included in ‘lamp-server^’ cause my ubuntu is not connected to internet. How can I do so ?